It started out as a normal afternoon walk through the woods near our home in the Kawarthas; cottage country near Peterborough, Ontario. It was a beautiful December day. My friend and I set out with my two yellow labs, George and Gracie, on a well-used snowmobile trail on Crown Land. The dogs were a bit ahead of us but within sight. Suddenly, George yelped and I knew he was in trouble. The dogs had been lured to a baited kill-trap and George’s head was caught. He died a slow death while I struggled unsuccessfully to free him. The dangerous “conibear” trap that killed George was set within a few feet of the trail. We were shocked to learn from the Ministry of Natural Resources and Forestry that there are no rules in Ontario about how close to trails traps can be set and no requirement to notify the public that they are there. There does not seem to be any way for the public to find out where traplines are — they could be anywhere on Crown Land, on your neighbour’s property, even in Provincial Parks and you wouldn’t know. Tourism groups promote our great outdoor spaces and show families cross-country skiing or hiking with their dogs running beside them off-leash. I’d like to know where it’s safe to do that. The reality is that it’s not only pets that are at risk. Anyone using a trail could easily stumble upon an unmarked hunting trap. While leashes are one way to keep dogs close, many pet owners use extendable leashes that can reach up to 20 feet. And there’s nothing to prevent someone from setting a trap closer than that to a trail. My husband and I both grew up in rural areas and we thought we knew all the potential hazards of the woods. But we had no idea the risk we were taking every time we took our dogs out on this trail. One of our responsibilities as pet owners is to keep them safe. We failed George in that regard. We don’t want this to happen to another family pet, or worse, a curious child. That’s why my family started the No Traps on Trails Campaign including a Change.org petition. In just over a week, more than 43,000 people signed their names and lent their support. Many have shared their own experiences with encountering baited traps. Unfortunately, we are not the only family to experience a traumatic loss because of an unmarked trap. 1. Improve trapping practices and regulations by setting a minimum trapping distance from public trails and roadways, and marking trails that run near traplines. 2. Launch a public awareness initiative to promote safe practices, including an online map showing where registered traplines are. 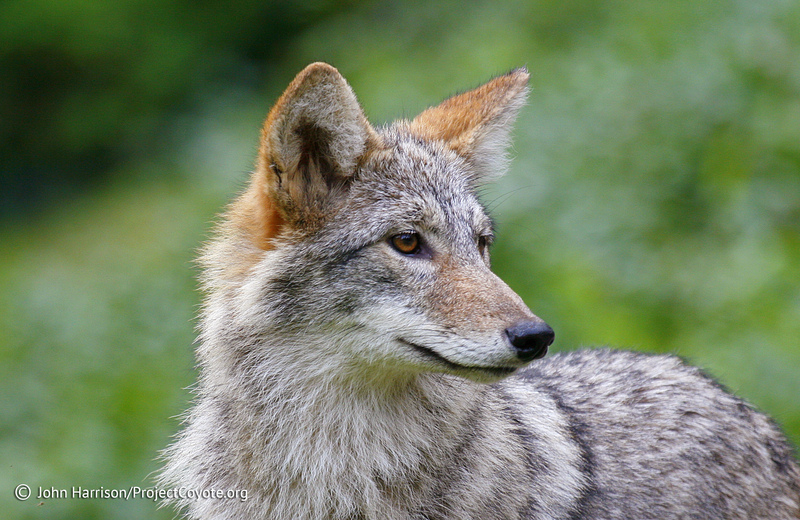 Our goal is to enable the public to avoid traps and traplines; a goal that we hope everyone, including trappers, can support. Other jurisdictions have already successfully addressed this issue. We are still struggling with the experience of losing George in such a horrific way. My family hopes we can turn this terrible tragedy into a positive force for change. More than 43,000 Canadians — and counting — are insisting on it. This entry was posted in News Feed and tagged ban traps, Conibear, pet safety, trails, trap by mes227. Bookmark the permalink.